KILLY — recording artist/songwriter and Toronto's youngest rising star — recently released his highly anticipated debut project, 'Surrender Your Soul'. From the breakthrough energy of 'No Sad No Bad' to the genre-defying flow of 'Fireflies', the vision is clear... KILLY has established a dedicated fan base with his untraditional releases and trailblazing intuition. Since his 2017 breakout single, 'Killamonjaro', the 20-year- old has been the youngest Canadian artist to achieve this level of international success, consistently generating millions of plays, performing at sold-out shows and festivals all over the world, all while remaining independent. There aren't many who are going to touch KILLY's come up. The Toronto rapper who was raised in a Filipino and Bajan household, bursted onto the rap scene preaching that he "can introduce you to this life we live forever", and ever since, the fans have been down for the journey. 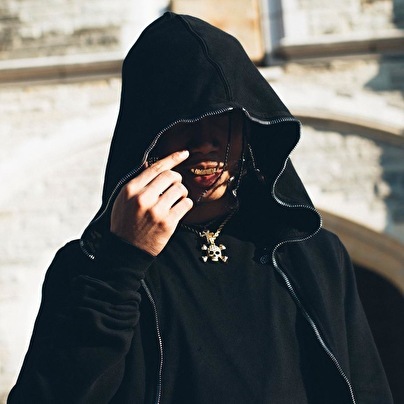 KILLY has carried the momentum single after single with; 'Distance', 'No Romance' and OVO Sound Radio premiered 'Forecast', proving he's no one hit wonder. In addition to the release of his debut project, 2018 has included a headlining, sold out Canadian tour, festival dates at Rolling Loud Miami, JMBLYA, FVDED in the Park, VELD, Osheaga and a 33-date 'Surrender Your Soul' World Tour... KILLY's stock is soaring and he is destined to be Canada's next big export.